I love walking along Dundas Street in the Mongkok area. It’s lined with street hawkers selling stinky bean curd, curry fish balls on a stick, grilled squid, bubble tea – it’s all very colorful, smells heavenly (including the stinky bean curd!) and very hard to resist. I blogged about some of our favorite street food fare before, but missed out on one – Ireland’s Potato. It’s not typical of the usual Hong Kong street food but it’s very very good. 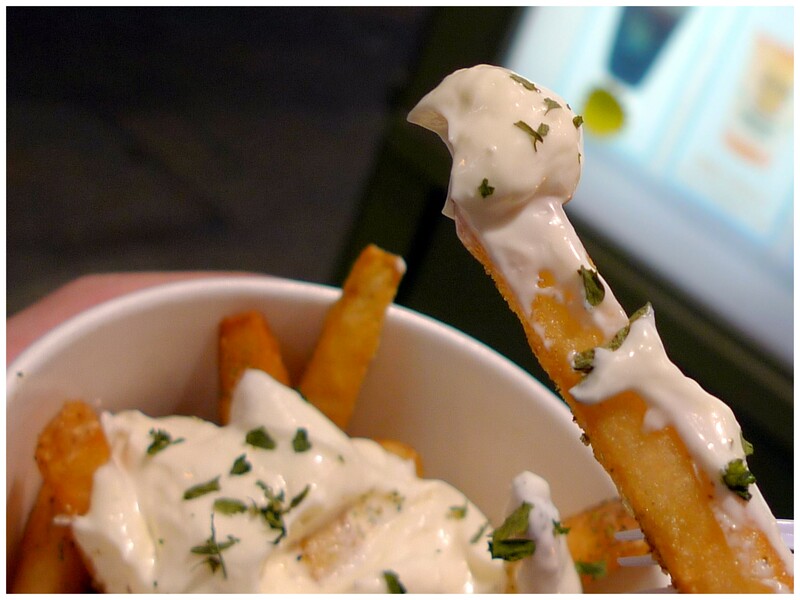 These people serve some serious made-to-order thick cut fries with toppings of your choice. You get to choose from things like honey mustard, curry powder, special cheese and wasabi mayonnaise. And you get to pick and match different permutations. We usually go with sour cream and seaweed powder – awesome stuff! The fries are deep-fried only when you order so they come out piping hot, crispy on the outside and creamy on the inside. Holding on to that tub of hot fries smothered with sour cream always makes me one happy girl. Directions: Walk down Sai Yeung Choi Street South towards CTMA Centre or Dundas Street, and turn left. Continue about 1 minute and you should see the shop on your left.